BREAKFAST- You get five breakfast varieties when you order the Nutrisystem® Homestyle 5 Day Kit. You can start your mornings off with the Maple Brown Sugar Oatmeal, Harvest Nut Bar, Banana Nut Muffin, Apple Strudel Bar, or Blueberry Muffin. 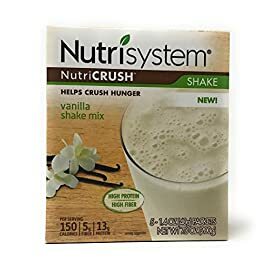 Then, if you continue with the Nutrisystem® 4-week plan, you can mix and match your personal favorites as you move forward with this weight loss solution. 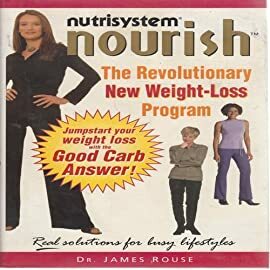 That way, you never have to eat anything you don’t like on the Nutrisystem® program. LUNCH- This kit also comes with five lunch varieties. 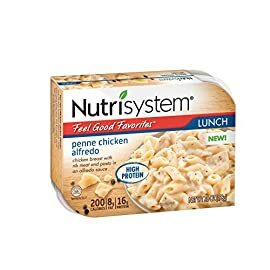 Enjoy the Chicken Noodle Soup, Loaded Potato, Tuna Salad, Three Cheese Chicken Pasta, and Homestyle Chicken when you order this diet food kit. Each delicious food item allows you to eat the comfort food you love without packing on the pounds. 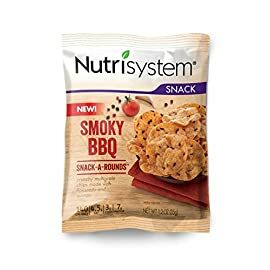 These lunch items are high on taste, and with Nutrisystem you don’t have to worry about feeling guilty when you indulge in a delicious treat at lunch. That makes it much easier to stay on the diet. 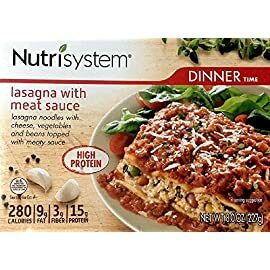 DINNER- Follow up on lunch with one of the five dinner varieties available with this weight loss meal kit. The kit includes Chili with Beans, Turkey & Stuffing, Chicken Pasta Parmesan, Meatloaf with Mashed Potatoes, and Chicken Pot Pie. These items don’t have to be refrigerated so they are easy to store until you are ready to pop one open and dig into a delicious meal. This makes it easy to stick with the diet food for each meal. 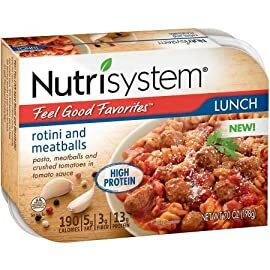 Loaded with down-home favorites that dieters love, the Nutrisystem® Homestyle 5 Day Weight Loss Kit is designed to help you get a jumpstart on your weight loss routine. The kit includes 15 entrees and 5 snacks, providing you with reduced-calorie food for 5 days. This weight loss kit also comes with an easy-to-use meal planner and access to diet coaches. All these tools help make it easy to reach your weight loss goals, whether you want to lose a few pounds or use this to catapult into a long-term plan. 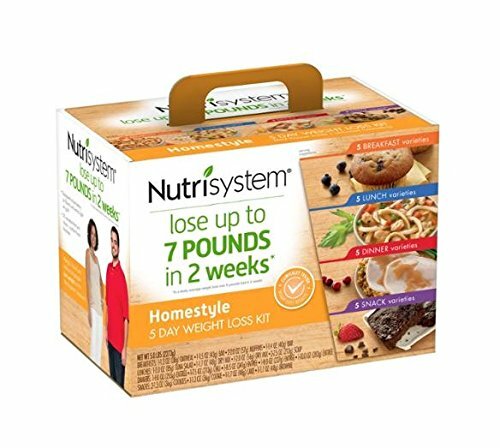 Portion control is at the heart of any successful diet, and the Nutrisystem Homestyle 5 Day Weight Loss Kit makes this easier than ever. The prepackaged meals and snacks are in perfect portion sizes for weight loss. 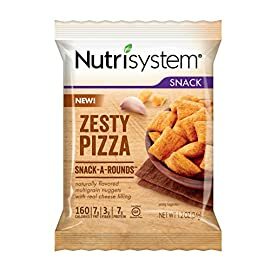 This allows you to enjoy foods that aren’t usually allowed on diets, such as loaded potatoes and macaroni and cheese, without gaining weight. By focusing on portion control with this weight loss solution, you won’t feel like you are missing out. This weight loss solution also focuses on the importance of balanced nutrition. Instead of completely cutting out carbs or reducing fats, it takes a balanced approach to weight loss. Each reduced-calorie food item you eat includes the nutrients you need to help you feel energized while losing weight. 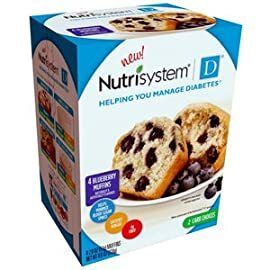 Add in fresh grocery items to get your complete daily nutrition-don’t worry, there are suggestions included in the daily meal planner that comes with the kit. TOOLS FOR SUCCESS- Dieting is part physical and part mental, which is why this kit also includes tools for success. Along with the delicious food, you will have access to an easy-to-use meal planner so you never have to worry about making decisions when you are hungry. You also have unlimited free access to weight loss counselors when you get this kit. When you combine these tools with the diet food provided, you’ll find it easy to reach your weight loss goals. JUMP STARTING WEIGHT LOSS- The weight loss doesn’t have to stop after you finish the first five days. 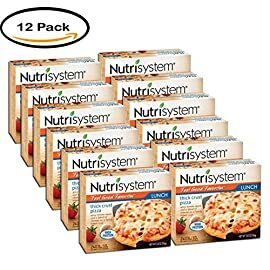 If you continue with Nutrisystem past the five days provided with this kit, you can lose up to 7 pounds in 2 weeks, with an average weight loss of 5 pounds in 2 weeks. Your success doesn’t have to stop at the two-week mark, though. Continue with the Nutrisystem® 4-week plan in order to achieve greater weight loss results.